As you fill out a Peet’s Coffee and Tea application, realize that you’re joining one of the oldest coffee chains in the United States. They strive to make every cup of coffee amazing for their customers as they roast by hand all their coffee beans. Links to apply for jobs at Peet’s Coffee and Tea are at the bottom of the page. Originally from Holland, Alfred Peet opened his first store in 1966 in Berkeley, California after tasting American coffee and disliking it. When Starbucks opened in 1971, they bought their beans from Peet for the first year. In 1979, Peet sold the company to Sal Bonavita. The first full-service store on a university campus opened in 2003. A new roasting plant was opened in 2007 in Alameda, California, replacing the facility in Emeryville. Currently, Peet’s Coffee and Tea has around two hundred stores, with a majority in California. However, they are all over the United States with over three thousand five hundred employees. In 2014, Peet’s Coffee and Tea continued to grow with the acquisition of Mighty Leaf Tea, a brand based in the Bay area and introducing a new mixed coffee drink that competes with other coffee companies. Peet’s Coffee and Tea has four major values that they strive to keep in every store. Mastery in their craft to give every customer the best tasting coffee that they can. By discovering new possibilities, they try to lead and innovate with their Curiosity. Responsibility to maintain their high standards and give every customer a great experience every time they walk through a store’s door. By growing and striving to be better people, Prosperity is the final value. 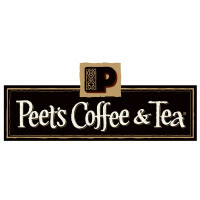 There are several Peet’s Coffee and Tea jobs available at the corporate level. Several of those jobs will not be at the company headquarters, but around the country or in Southern California. The corporate jobs that are available outside of headquarters usually deal directly with grocery stores for making sure that company products are stocked properly. In headquarters, you could have a job doing almost anything. At the local level, you have two options, either working in a retail position or at a roasting plant. Retail positions are scattered across the country so as you apply for Peet’s Coffee and Tea jobs online, make sure that you apply to the right store. If you’re applying in person, just walk into the store with an application and you shouldn’t have any issues. How old do you have to be to work at Peet’s Coffee and Tea? If you are hired at a retail store, you must be at least sixteen. For a home office or roasting plant job, you must be over eighteen. Make sure you read all requirements closely, some jobs require you to have various experiences or previous jobs. Those with full and part (working twenty-one hours a week) time Peet’s Coffee and Tea careers are offered benefits that include dental, medical, prescription, and vision insurance. On top of that, a 401K retirement savings plan is offered as well as life insurance as the company wants to make sure that all employees are taken care of. Retail Associate – Every day you’re at work, you’re the face of the company and striving to offer customers the best service that you can. You will create coffees, teas, and beverages to the customer’s request as well as explaining various products and promotions. Compensation is around $9 an hour. Shift Lead – By providing excellent service and keeping store operations running smoothly, you’ll help lead to the success of your store. You will run store opening, closing, and general operations, equipment maintenance, inventory, and promotional execution and visual merchandising. Compensation is around $10 an hour. Store Manager – You are the store embodiment of Peet’s Coffee and Tea values, mission, and values. As you build a strong store team, you push them to constantly be better and encourage store growth. When given the opportunity, you will take a moment to coach your staff and give them a role model to follow. Compensation is around $45,000 a year. Machine Operator – Hand roasted beans are what this company is known for, and you’re the go between as you run the machines to package the freshly roasted beans. By keeping your area cleaned to the high company and federal standards, you’ll ensure the great flavor of the coffee maintains its reputation. Compensation is around minimum wage. Why do you want to work for Peet’s Coffee and Tea? This is an extremely common interview question, so you should be prepared for it. Talk about what drew you to the company, whether it’s the company culture or company benefits. What experience do you have? If you have relevant experience, highlight it. However, not all jobs require previous experience, so talk about what you can bring to the job instead. Make sure to have plenty of examples to show why what you’re offering is great for the company. Where do you see yourself in a few years? Be realistic in your career expectations. Your interviewer just wants to know where you’ll be. Show that you’re willing to take on extra challenges and responsibilities to move up in the company. If you’re applying for a retail position, you may be asked this in the form of a hypothetical situation: How would you deal with an angry customer? Be honest and practical as to how you would deal with them. Explain exactly what you would do and why. If you’re applying for a management position, you may be asked: What is your management style? As Peet’s Coffee and Tea has a strict idea of what they’re looking for in a manager, you should be honest as to what your style is. Explain how you offer a great addition to what they’re looking for in a manager. How to apply for Peet’s Coffee and Tea Online: if you’re searching for a job, select the first link and find the job that you want to apply to. Hit the “Apply for this Position” button and follow the instructions, filling out the Peet’s Coffee and Tea application and uploading a resume. There is a printable application for Peet’s Coffee and Tea available, click the second link and take it directly to the store that you want to apply to after you finish it. Before you go for your interview, do research on the company and industry. Have a list of questions prepared that you can bring with you. Several of your questions will probably be answered during the course of the interview; it may seem excessive, especially for an entry level job, but it will show that you’re prepared and willing to work hard. Your interview will be formal, so make sure that you dress appropriately in business casual. If you’ve applied for a corporate or a management job, wear a suit. Maintain a positive and respectful demeanor when you go for your interview. It will show that you are willing to meet Peet’s Coffee and Tea standards for interacting with customers. Show gratitude for the opportunity to interview with Peet’s Coffee and Tea. Ask about the best way to check on your hiring status afterwards as few candidates will learn if they got the job during their interview. Peet’s Coffee and Tea will want to screen all applicants before making a final decision. Mrs. Fields Cookies: See this page for jobs at Mrs. Fields Cookies. Marble Slab Creamery: Visit the Marble Slab Creamery application. Tim Hortons: See our resource page for more information on Tim Hortons careers. Yogen Fruz: Use the Yogen Fruz job application to apply here. Auntie Anne’s: For employment at Auntie Anne’s visit the application page.